We at Bodhish wish to offer inspiration whether you are looking for books that will stretch and expand your mind, or food & drinks to nourish your body. At Bodhish you will also find herbs and aroma oils that help you open your senses, stones & crystals to help you balance and clear your energy – and meditation and energy work supporting you to follow your inner voice and the callings of your soul. We wish to offer cherry picking for hungry souls, which and how many cherries you want to pick is entirely up to you. 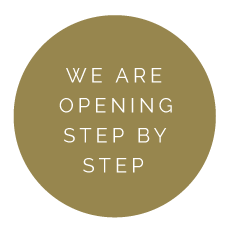 We are creating Bodhish step by step, you are all most welcome to join us and co-create! Energy is in everyone and everywhere. Some of us are more sensitive to feel different forms of energy. A part of discovering yourself is to learn how to manage your own energy. Join us in discovering the fields of nourishment, energy work, meditation, yoga, music, sound and scents. There will always be a joint purpose of the events, with the intention of inspiration. We serve a small seasonal plant based menu, Japanese tea, cold pressed juice and other seasonal goodies. The Bodhish plant based café is open Tuesady-Friday 11am – 6pm, Saturday 10am-5pm. Bodhish is more than a physical place to meet, it is also an energy and an atmosphere. It is our priority to hold and develop the energy in the space. In the shop we offer inspirational tools for your journey. We will serve a small seasonal plant based menu, Japanese tea, cold pressed juice and other seasonal goodies. The Bodhish plant based café is open Tuesady-Friday 11am – 6pm, Saturday 10am-5pm.